TMJ disorders can often be a very painful and serious problem if left untreated. The temporo-mandibular joint is the spot where your head and lower jaw connect (fairly close to your ears). 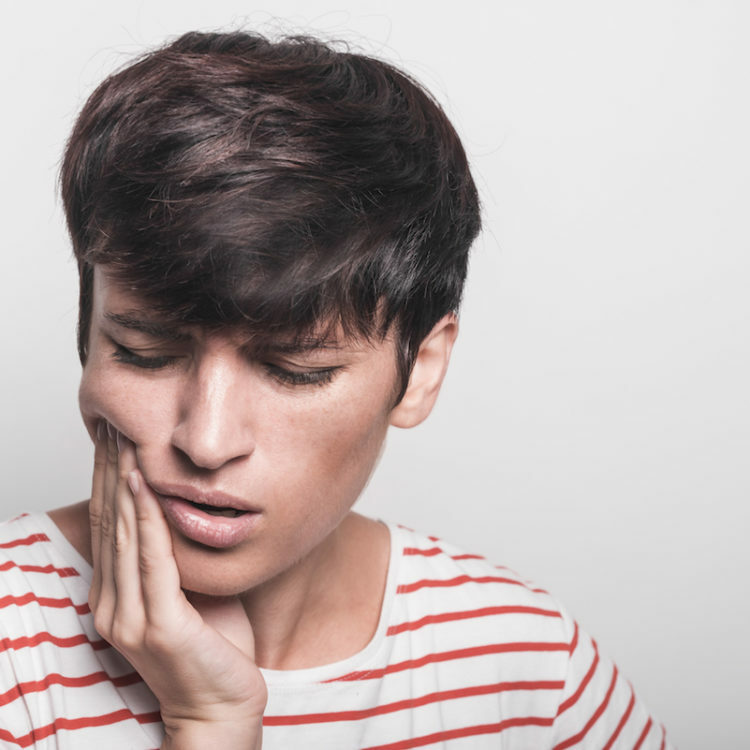 If something goes wrong with your jaw or mouth, then the problem can escalate into a TMJ disorder, which, in turn, can cause even more problems for you. Because of this, it’s important to treat TMJ disorders as early as possible. TMJ disorders can cause a wide variety of problems, all of which can make life very difficult. In most circumstances, TMJ disorders are caused by too much tension, teeth grinding or clenching (usually either a bad habit or caused by stress), arthritis in the temporo-mandibular joint, a misalignment of the teeth or jaw, or trauma to the joint, jaw, head, or neck. If you think you might have a TMJ disorder, you should make sure to visit your dentist as soon as you can. At our offices, we can check the joint for any signs of the disorder. This will allow us to verify whether the symptoms you’ve been experiencing are the result of a TMJ disorder or not. If we discover that you do indeed have a problem with your temporo-mandibular joint, we’ll discuss treatment options with you. These options can include the replacement of missing teeth, adjusting the position of your teeth, adjusting your bite, and filling problematic gaps between your teeth. Other options include taking certain medications (to deal with stress or muscle tension), wearing mouthguards (worn at night to keep you from grinding your teeth), and splints (like a mouthguard, but worn all the time), depending on your circumstances. It is also possible, depending on the severity of your disorder, that you may need surgery to repair the joint. In most circumstances, TMJ disorders are caused by too much tension, teeth grinding or clenching (usually either a bad habit or caused by stress), arthritis in the temporo-mandibular joint, a misalignment of the teeth or jaw, or trauma to the joint, jaw, head, or neck.